Monday Funny: Boba Fett Kills Mario & Co. This video took me on a trip down memory lane. Some cool, classic games…and Boba Fett killing them all. Posted By: Skuldren for Roqoo Depot. Darth Humor. Of all The Black Series 6-inch scale figures, Boba Fett is easily one of the coolest and hardest to get. If you’ve read my review of the figure, though, you’ll know I was a little disappointed in the action figure. Bottom line, it was missing the “action” part as Boba Fett is one of the least articulated figures in the line aside from R2-D2. It’s not that the joints aren’t there. The problem is those hard plastic pouches on the front of his legs that prevent him from moving around. 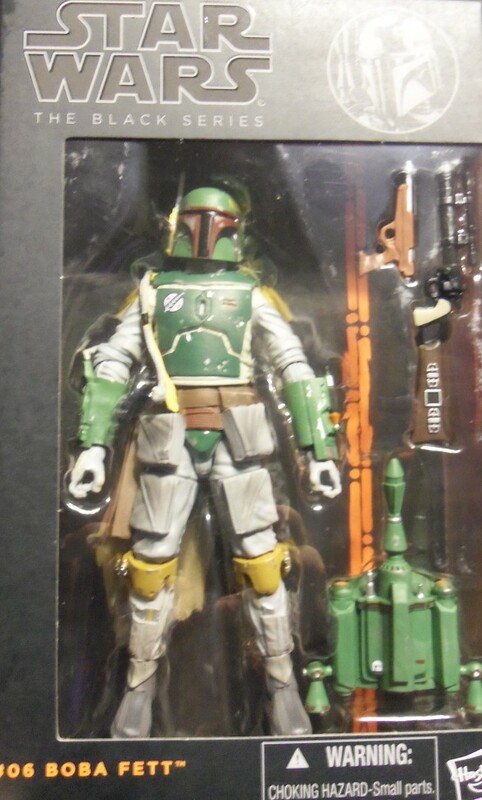 Ever since opening that first Fett figure, I’ve wanted to cut those stupid pouches off. So when I saw a Fett sitting on the shelves at Barnes & Noble, I picked him up with that purpose in mind. This would be my Boba 2.0. Let’s pour some salt on the wound while it’s fresh. 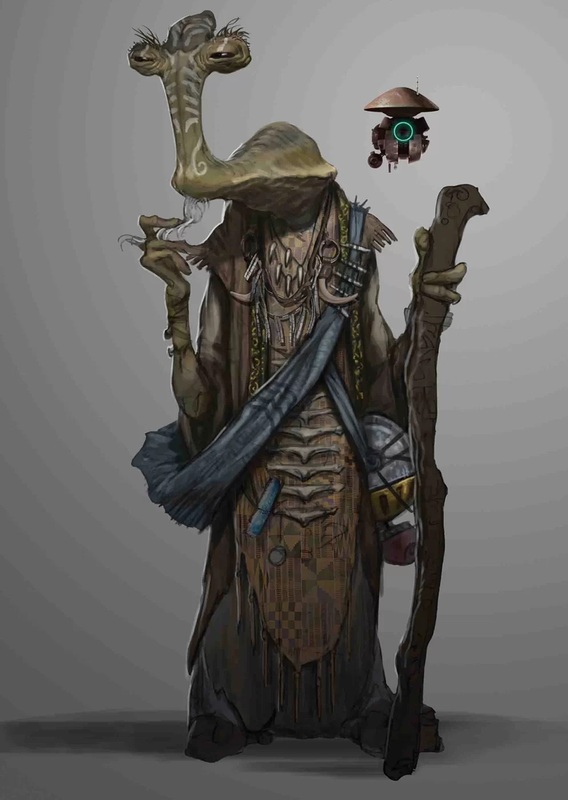 When Star Wars 1313 was demoed, the creators made a subtle note about the player character only being a placeholder as they didn’t want to reveal who the main character was going to be yet. The logical choice seemed like Fett, and it turns out that’s exactly who it was. 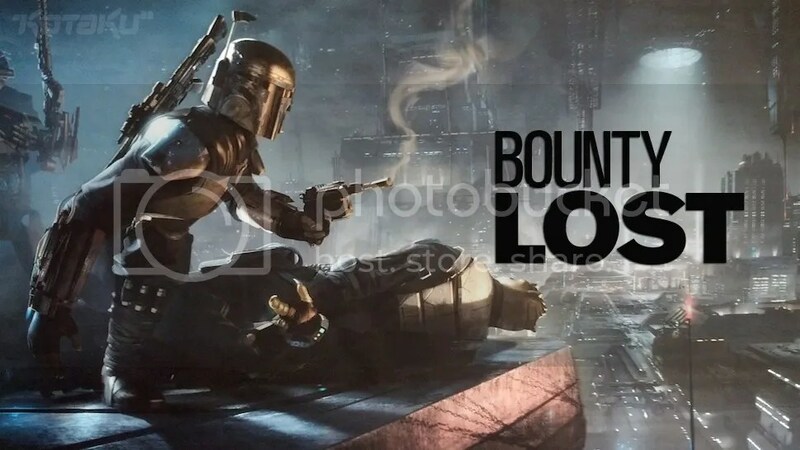 According to Kotaku, Boba Fett was chosen to be the star by none other than George Lucas himself. Here’s a sample of the concept art. 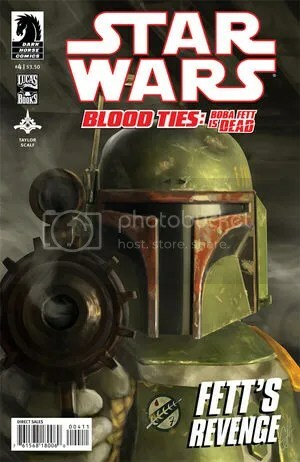 Today sees the release of the final issue of the Boba Fett is Dead arc from Tom Taylor. All the main characters are heading together on Concord Dawn for the final showdown. Is the final issue worth your time? After the break you can find out what I think. 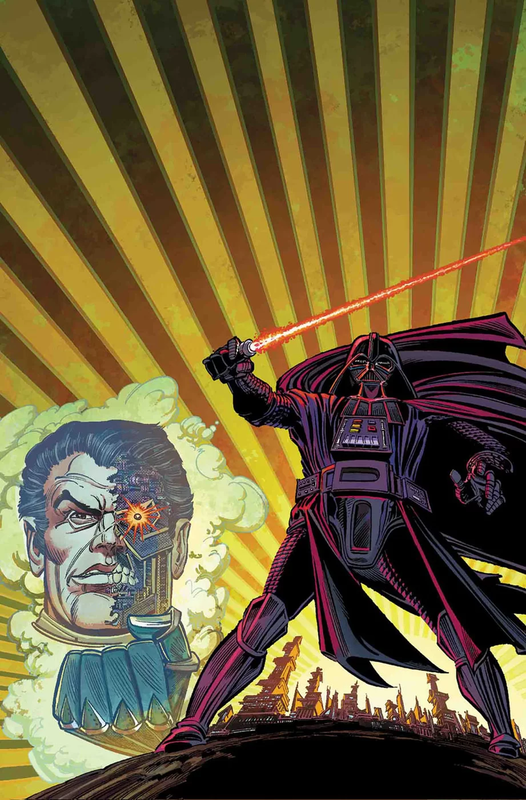 Star Wars is full of iconic moments, characters, and imagery. Some of those icons are so famous that anyone can recognize them. They also show up in the strangest of places. 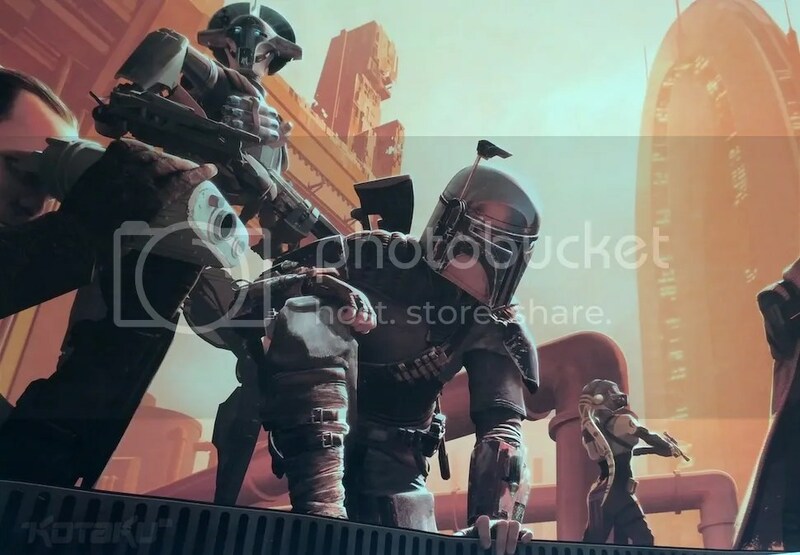 I’ve seen a lot of Star Wars art out there, and one image that repeatedly comes up is Boba Fett, especially of his helmet. Searching across the web, I compiled a range of images all focusing on the bounty hunter’s famed helmet. From fine art to abstract, we bring you…The Boba Fett Helmet Gallery. Posted By: Skuldren for Roqoo Depot. Supporters of fine Fett art. Walk softly and carry a big stick…or if you’re Boba Fett, a huge blaster rifle. 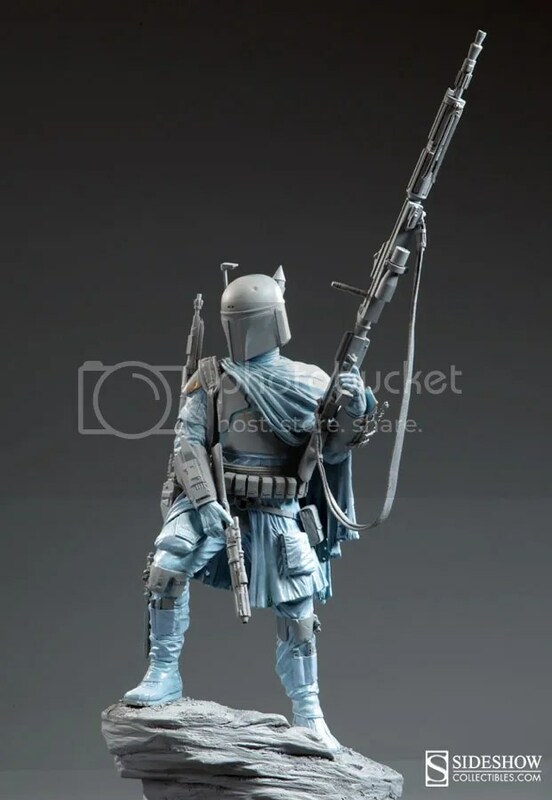 Sideshow Collectibles has released some pictures of the upcoming Mythos statue of Boba Fett. Click here to check out the other pictures. You can also view their sneak peak video here. 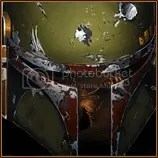 Syfy has 12 images of customized homemade Boba Fett helmets over on Blastr. Ranging from Legos to a very cool Viking helmet, they all attest to the creativity of Star Wars fans.